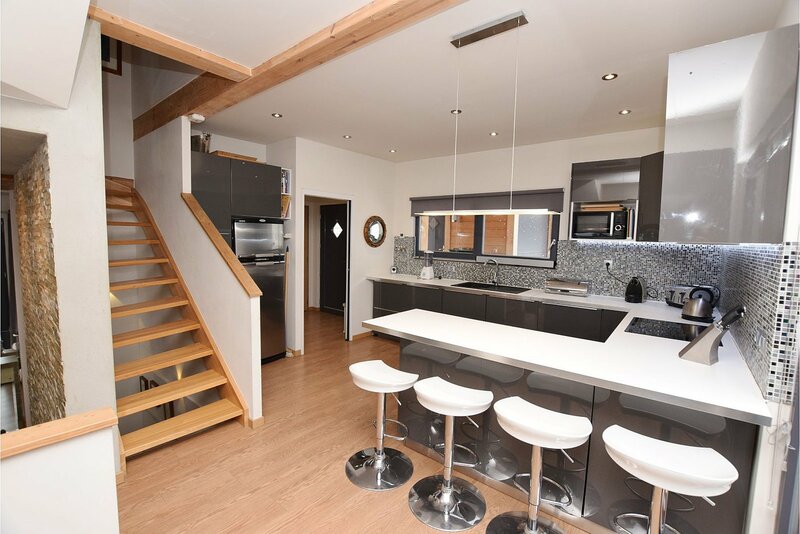 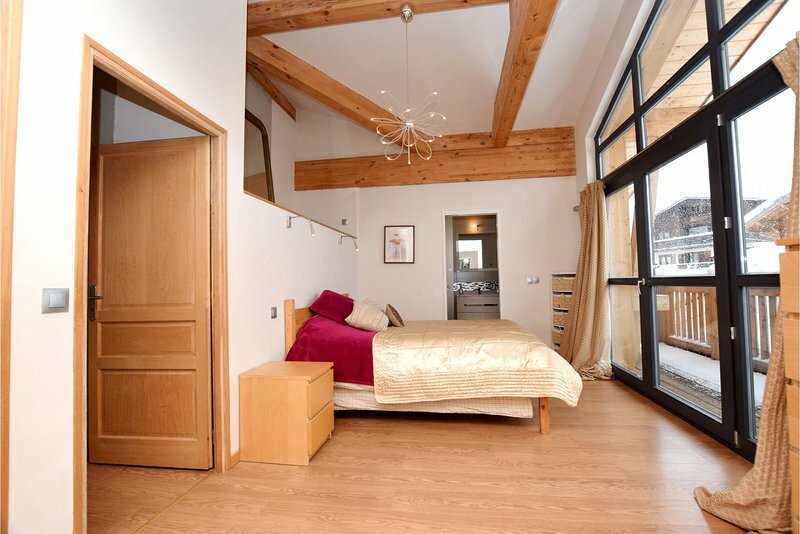 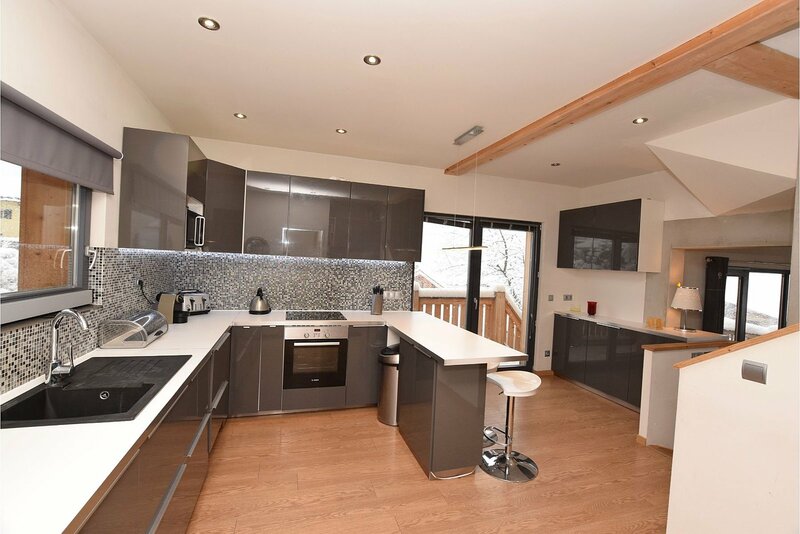 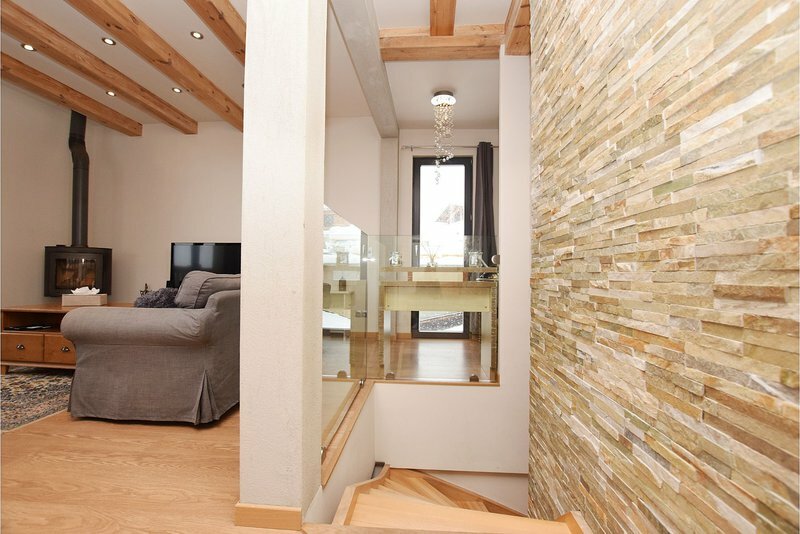 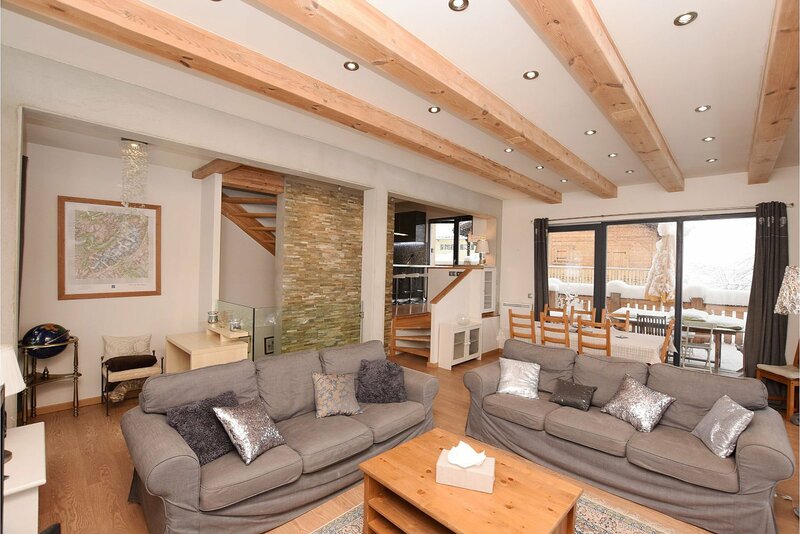 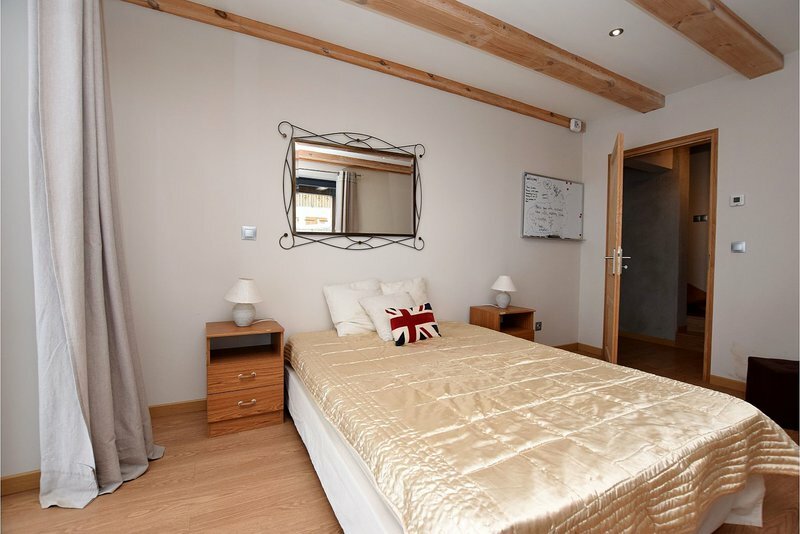 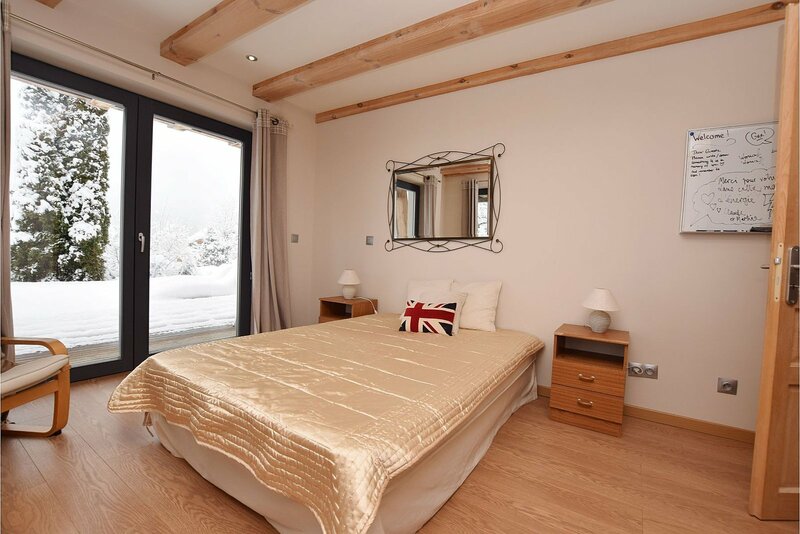 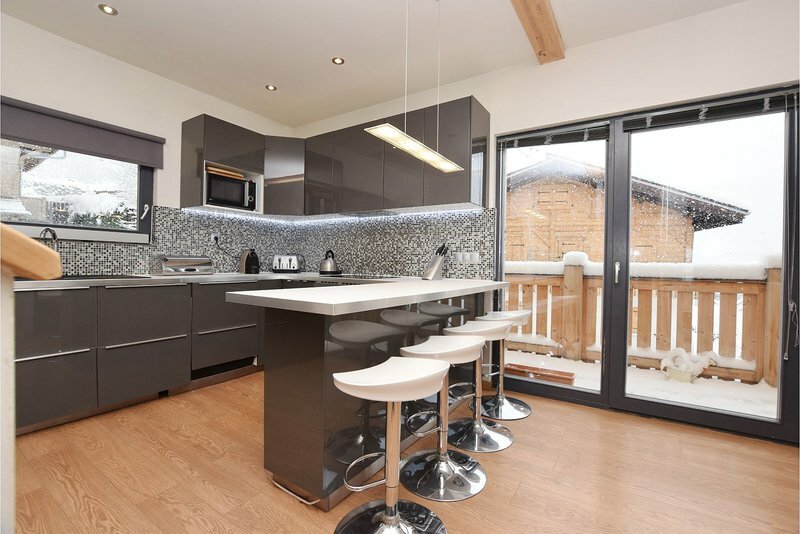 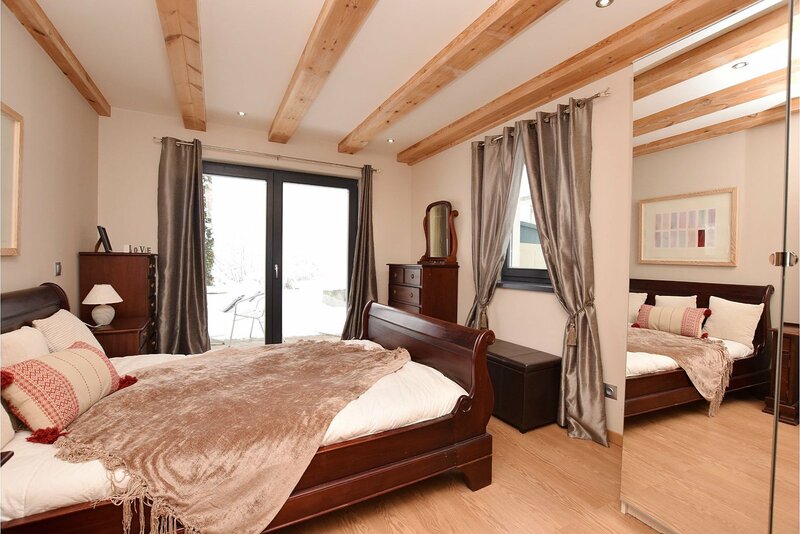 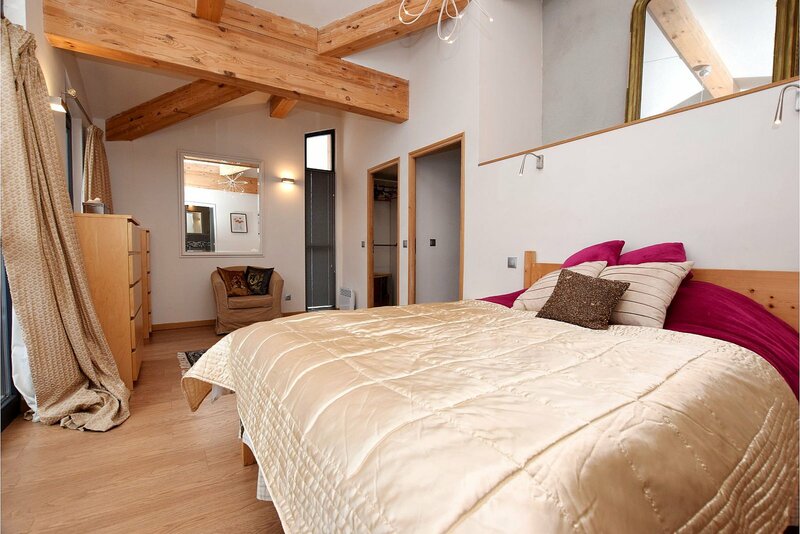 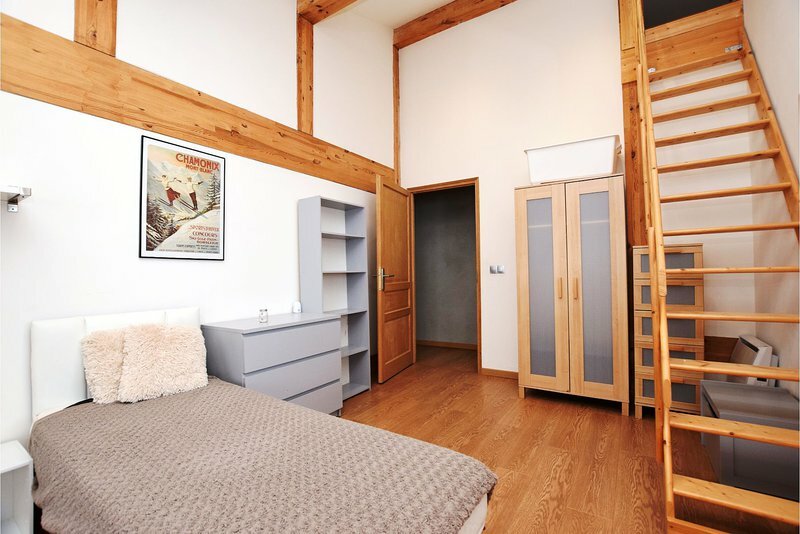 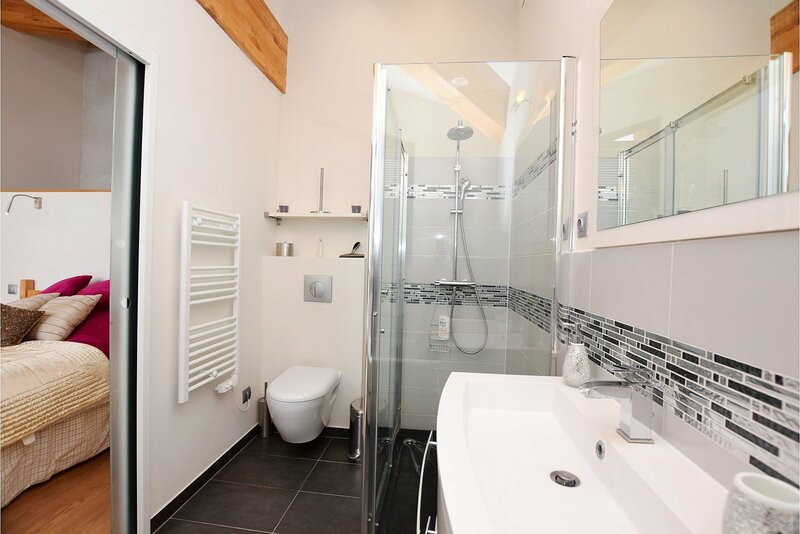 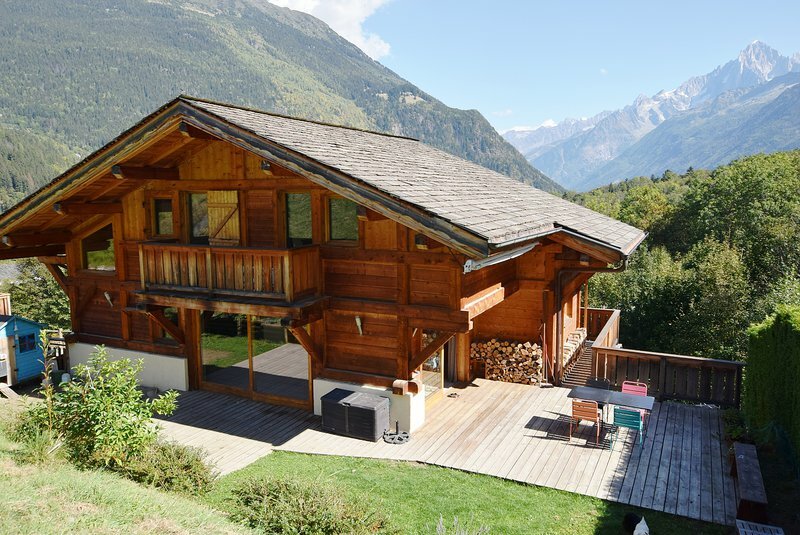 Chalet Isabel is a recently built, well-designed 179m² chalet in Les Houches with 6 bedrooms, 4 bathrooms, a large bright open plan living room with separate kitchen and a large south-facing terrace. 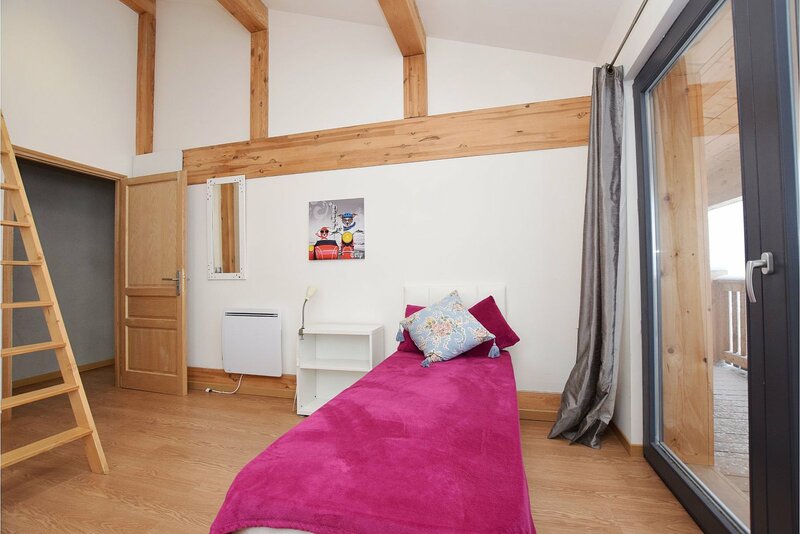 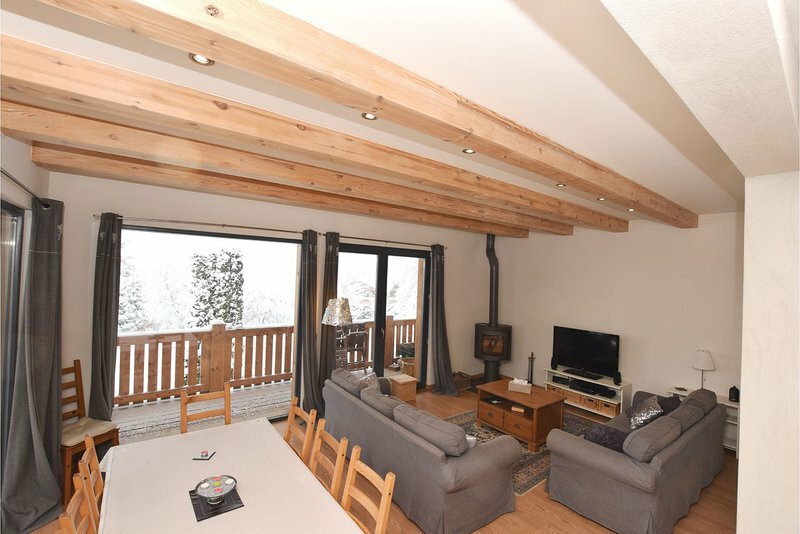 Chalet Isabel is a lovely large family home situated in a quiet area of Les Houches but very close to all the local amenities. 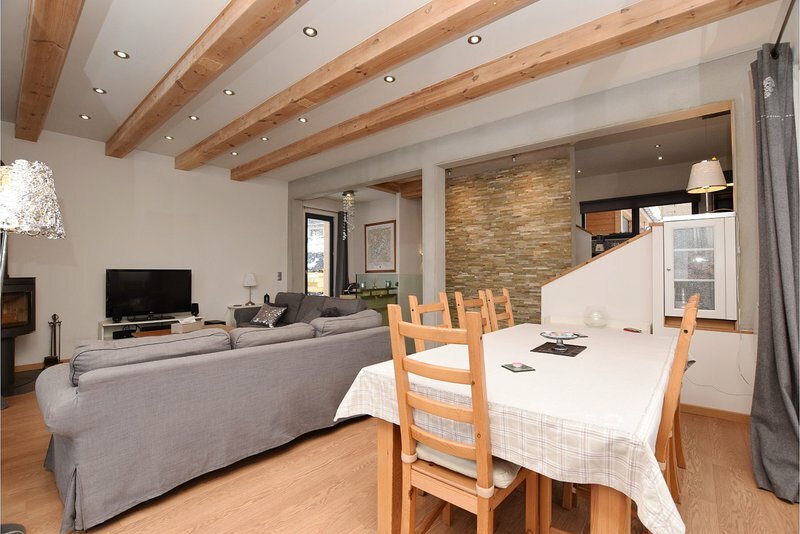 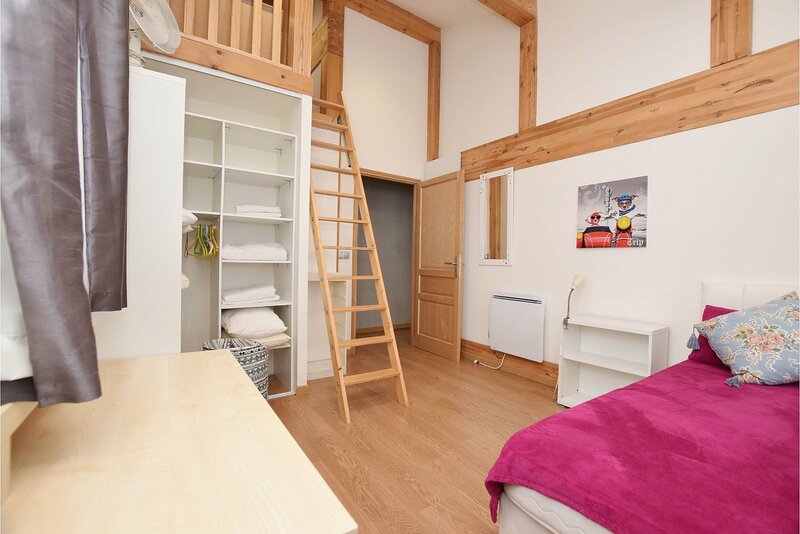 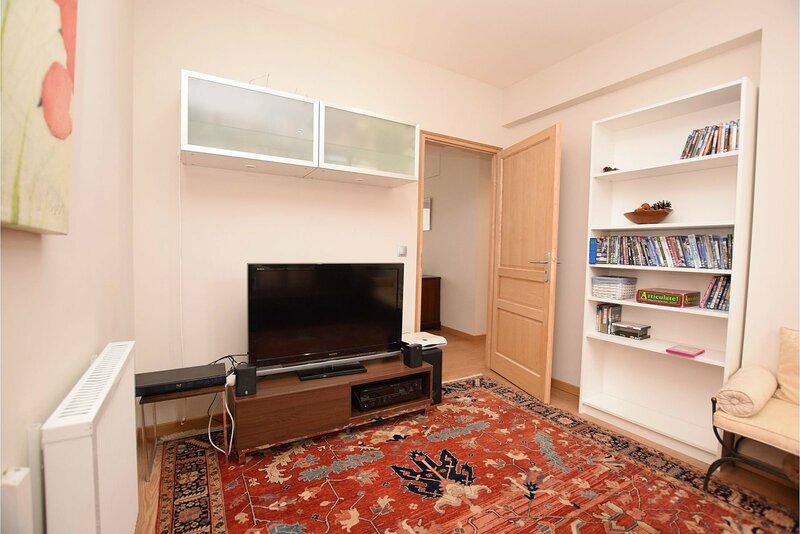 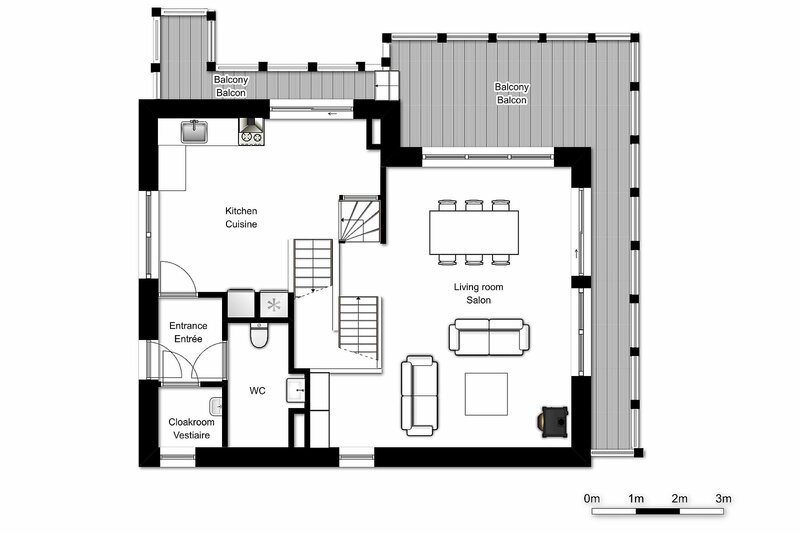 It offers bright, open-plan family living on 3 levels with 3 spacious bedrooms upstairs and a further 3 double bedrooms and sitting room on the lower level, ideal for guests. 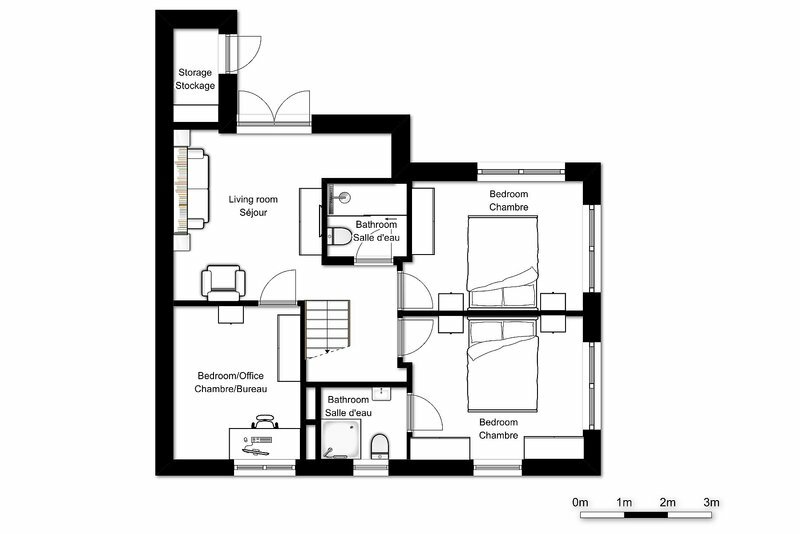 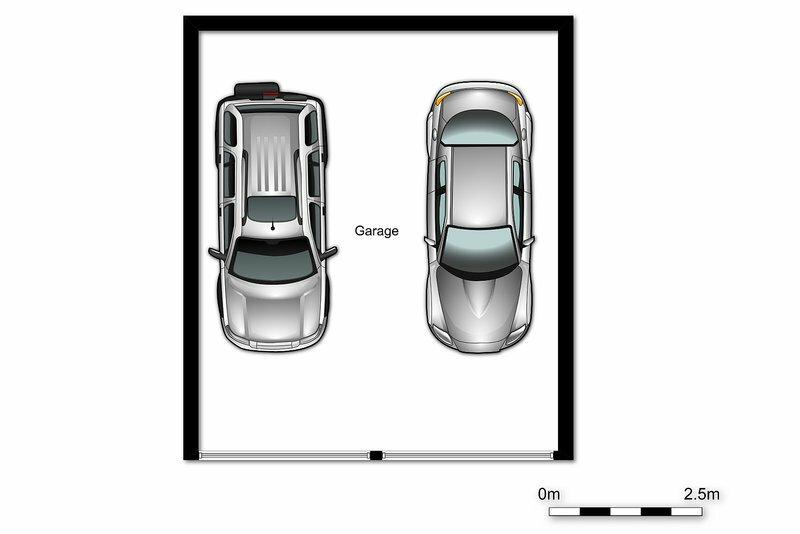 Alternatively it iwould be a great lock-up-and-leave holiday home. 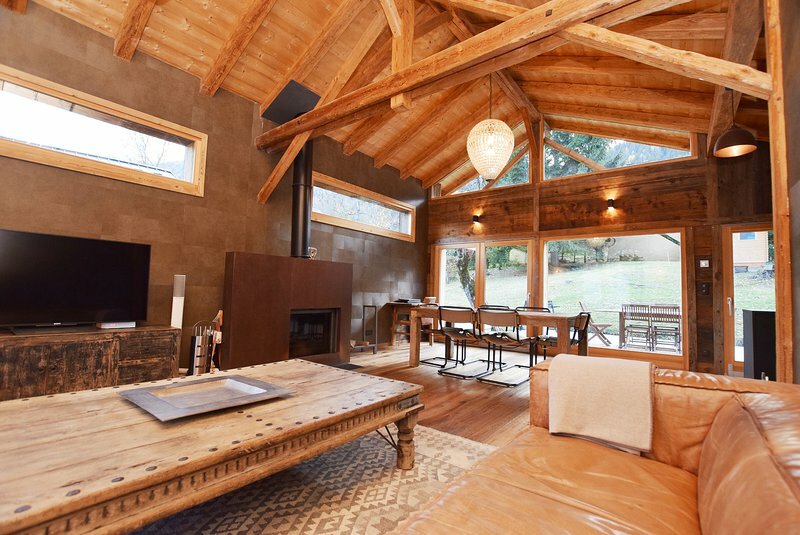 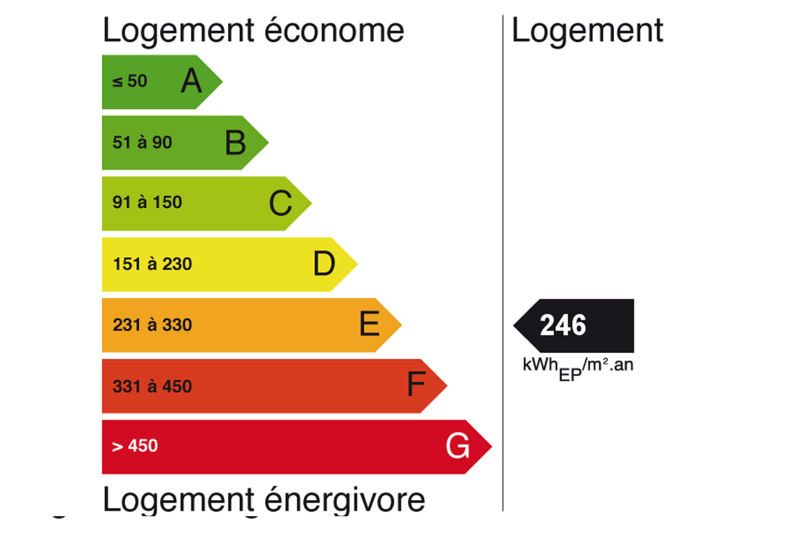 fees are included in the price and payable by the vendor. 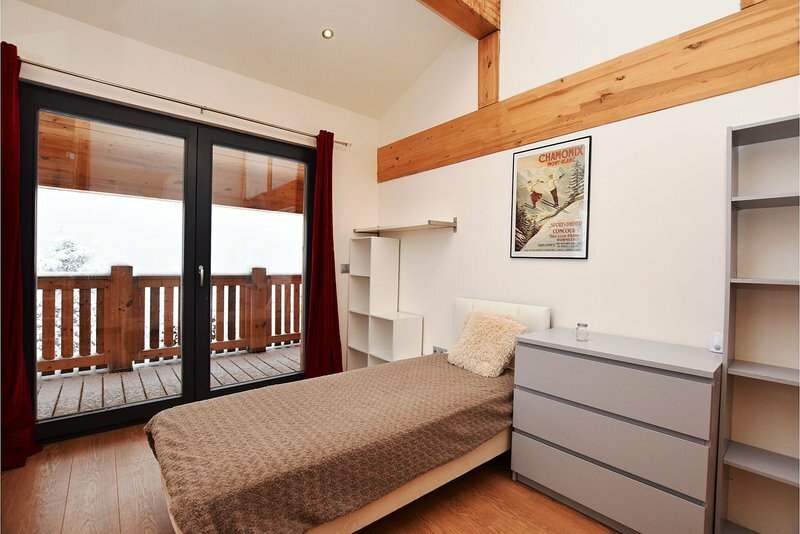 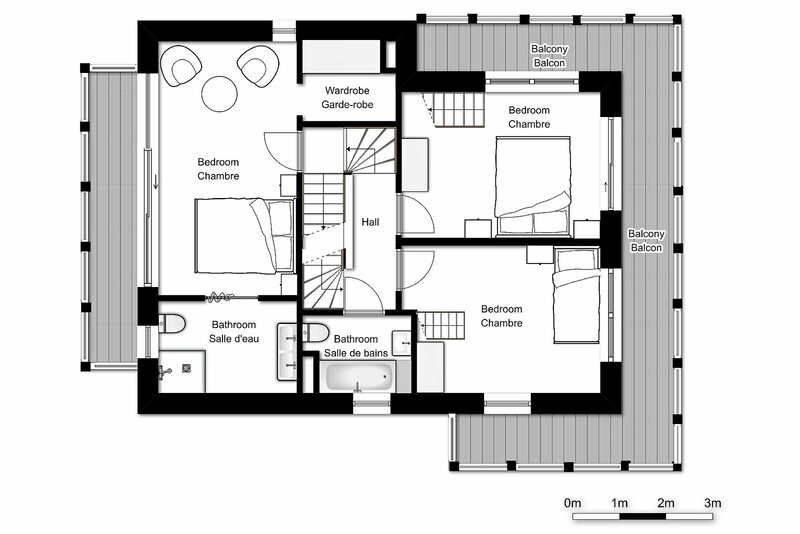 Chalet Isabel is situated just behind the newly renovated Place de la Mairie (town square) in Les Houches on Rue du Mont-Blanc. 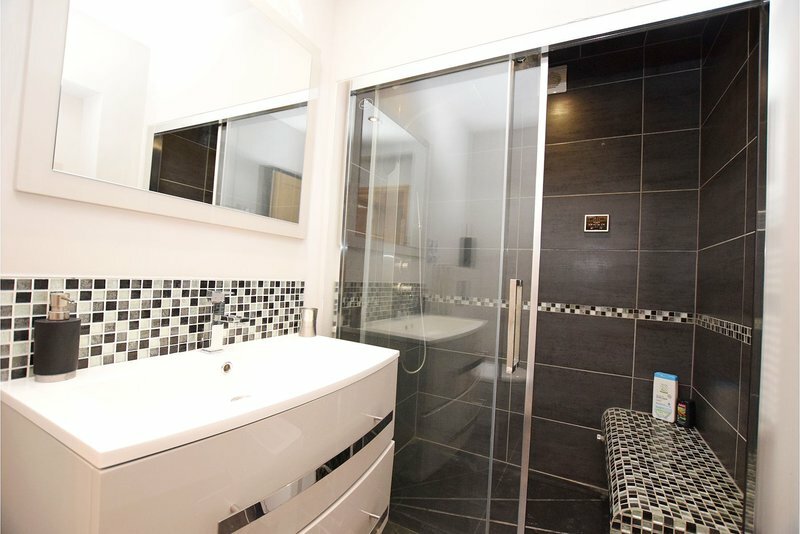 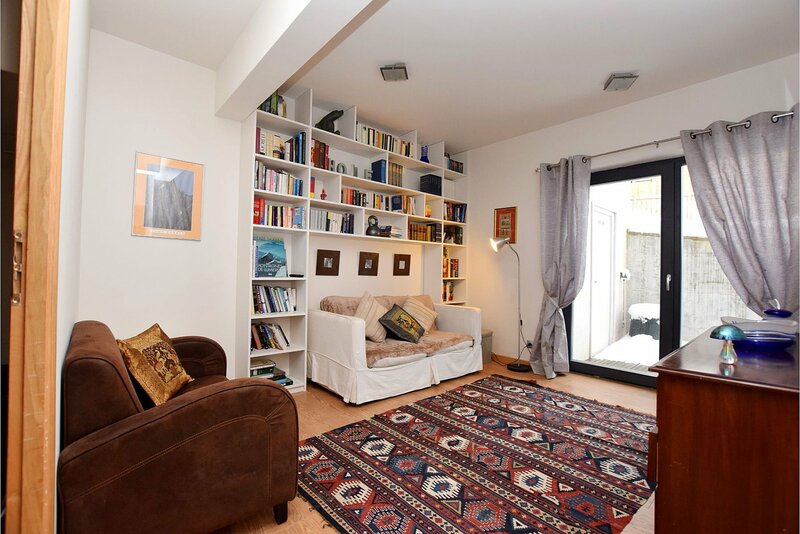 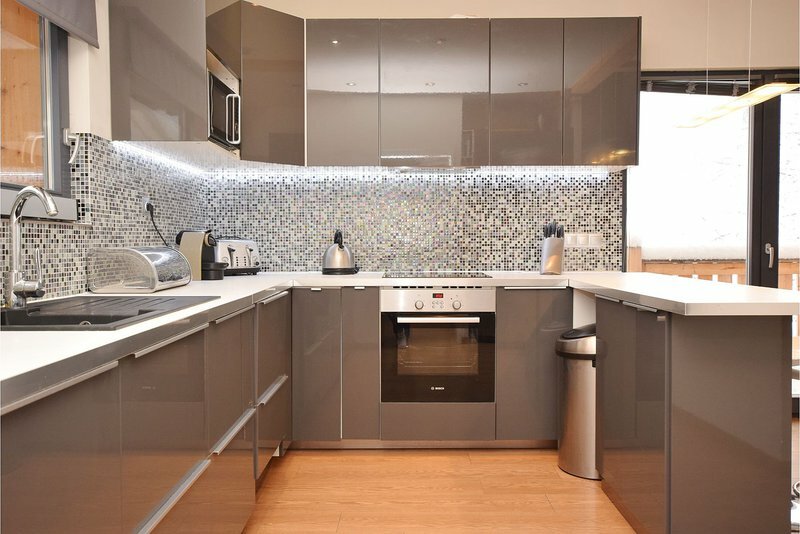 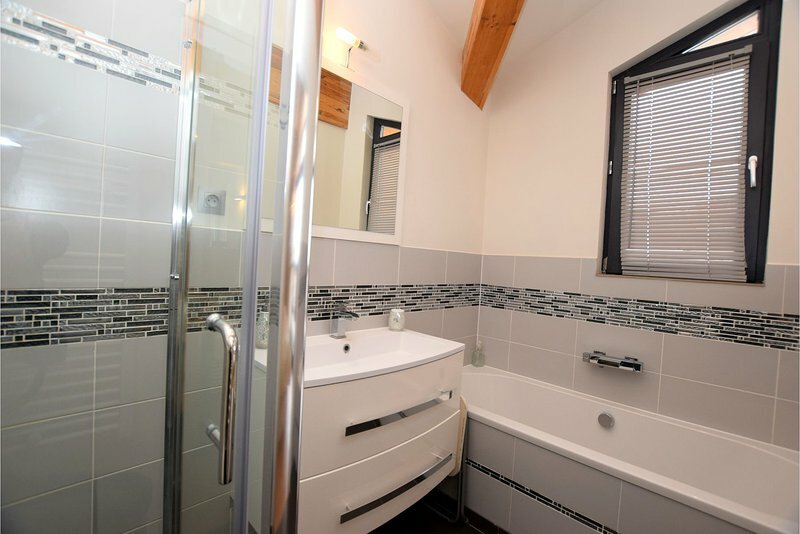 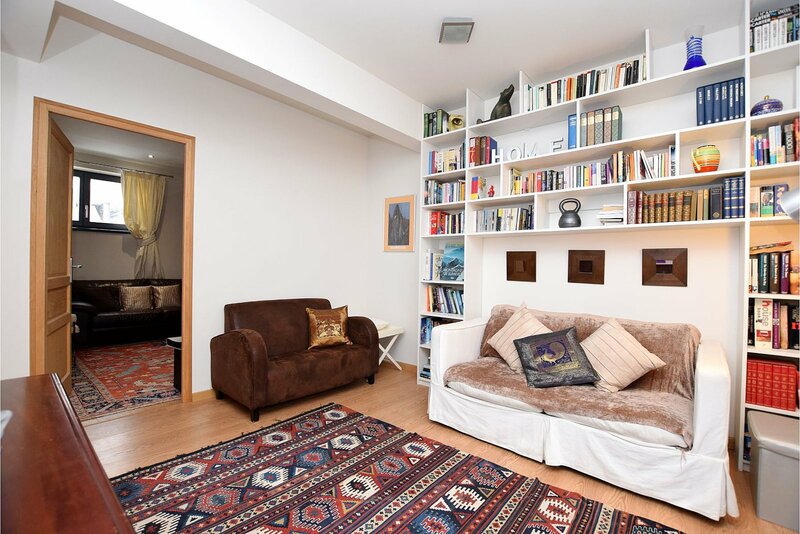 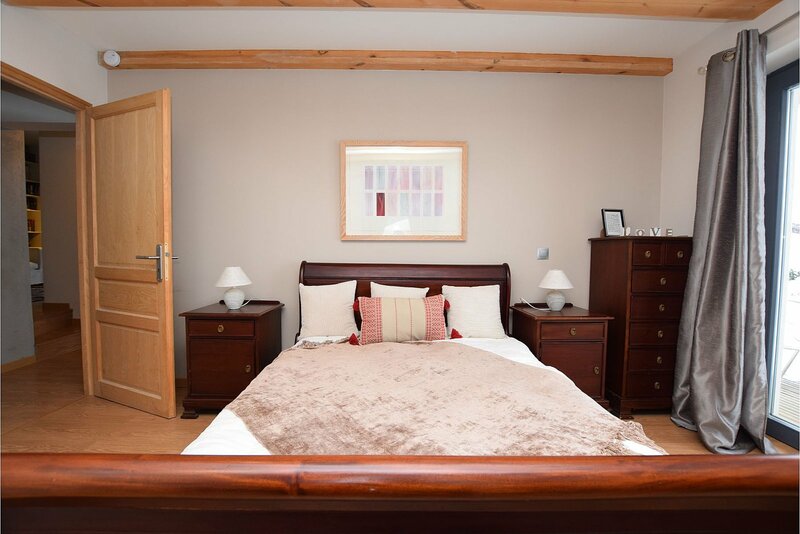 It's only 50 metres from the shops, a supermarket, cinema, restaurants and the town hall. 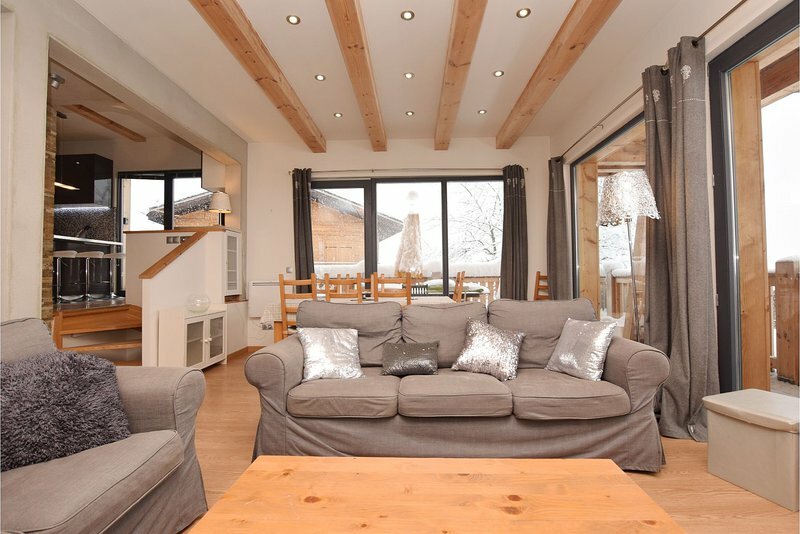 The Les Houches ski area is accessible from the Bellevue cable car 650m (a 10 minute walk) from the chalet. Regular buses run from the Place de la Mairie throughout the Chamonix Valley, to the various different ski areas.